Resolution #97-03 was carried unanimously in support of proposed self-government elements, and fully supports the Chief negotiator and negotiation team in their effort to continue to negotiate a Dogrib Agreement-in-Principle which will lead toward the completed Dogrib Land Claim and Self-government Agreement. Read the original Resolution here. Resolution #97-04 was carried unanimously in favour of Draft Dogrib Constitution. Read the original Resolution here.. 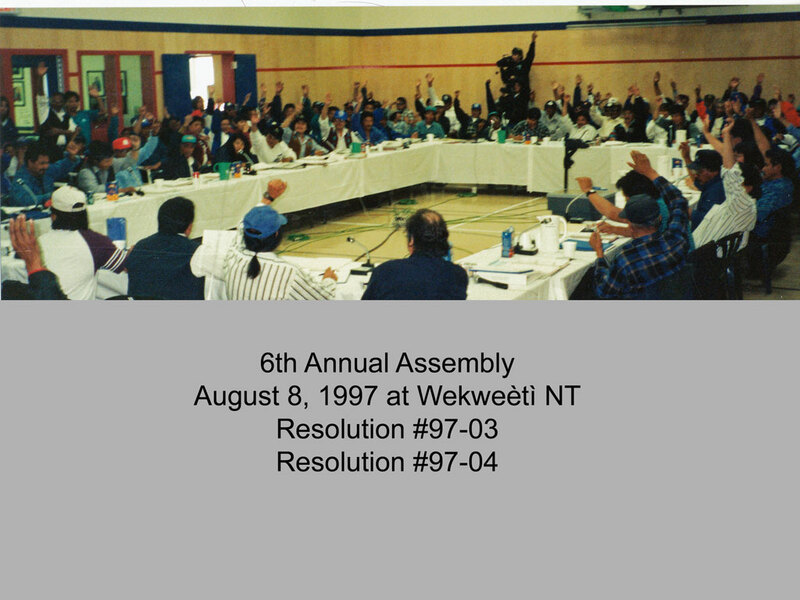 Photos below of the 6th Annual Assembly in Wekweètì.